On June 8th, 2019 we are coming together to honor the memory and life of Jacob Schmitz. Jake lived an extraordinary life filled with love, learning and adventure. 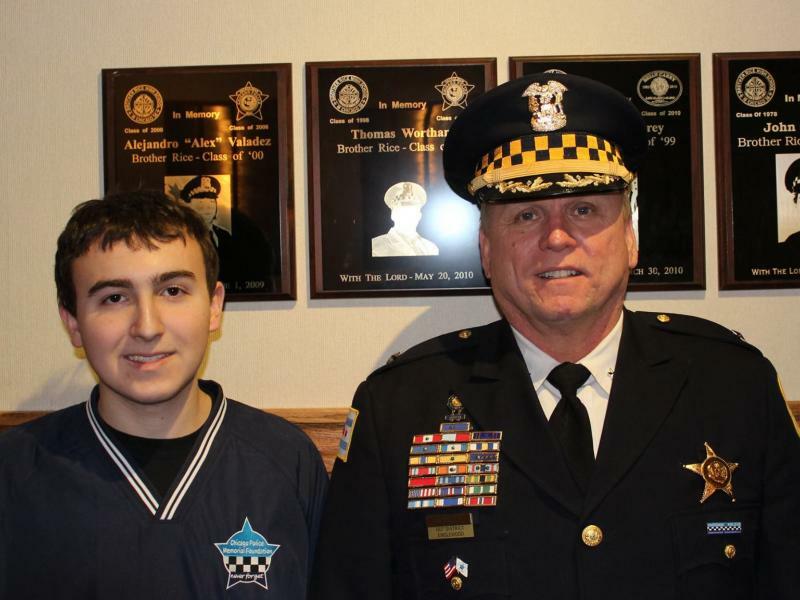 Jake was the son of two former Chicago police officers – Ellyn, who retired as a lieutenant and Leo, who retired as a Deputy Chief and recently retired as Director of the Illinois State Police. Jake’s commitment to learning and building a better world was unique in one so young. Jake was a top student at Brother Rice High School and his future was filled with possibilities and challenges. However, Jake was diagnosed with an aggressive form of leukemia early in 2016. His incredible bravery battling this disease was an inspiration to all that knew and loved him. He stoically endured treatments, tests and adversity no 17 year old should have to bear. Even when he was feeling ill from chemo, he was always concerned with the well-being of his parents, his Grandfather, the state of the current election and his friends at Brother Rice more than himself. On June 13, 2016, Jake passed away with his family by his side. Jake was, and always will be, a part of our lives. To recognize the impact Jake had on so many people, we have established a scholarship fund at Brother Rice High School. The recipients of this yearly scholarship will be young men whose commitment to education and helping others is reminiscent of Jake. Jake’s friends and family will be hosting a golf outing on June 8th, 2019 to fund this scholarship. We hope that by gathering together, we can raise awareness to combat this disease and honor Jake’s life and legacy. Please click below to view our available golf and sponsorships options.